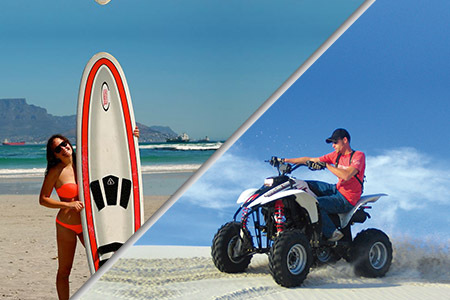 Our Surfing & Quad biking Combo is the perfect way to explore the beauty of Cape Town beaches, from the sand dunes through to the rolling waves. Cape Town is rated as one of the most beautiful cities in the world, mainly due to its impressive natural environment. 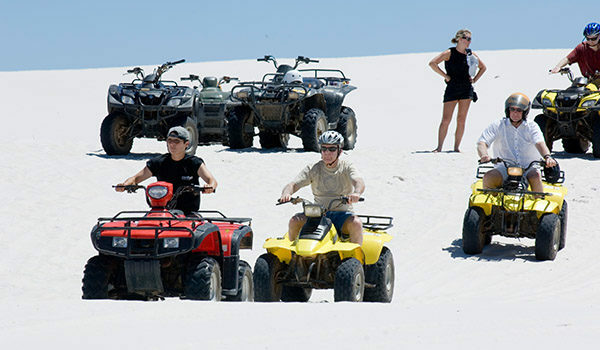 Nestled between mountains and oceans at the southern tip of Africa, it is ideal for some of the world’s most unique and popular adventure activities. First we’ll hit the Dunes on our Quad Bikes. 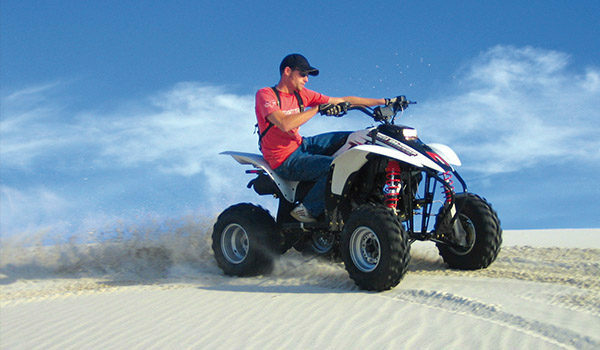 One of the most exciting things on 4 wheels, Quad Biking or ATVing (All Terrain Vehicle riding) is a rush like no other. 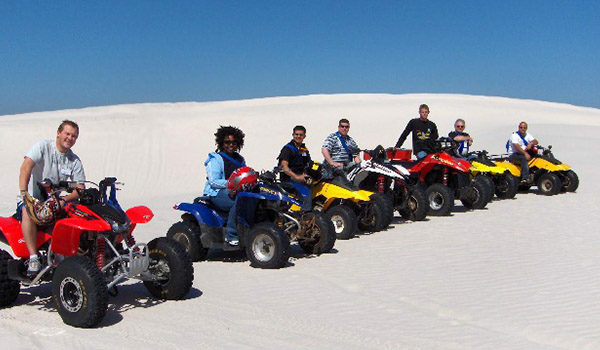 After showing you how to operate the bike (most are automatic so it’s a breeze), our guides will take you on an exhilarating quad bike ride though the many tracks, quad biking trails and specialised 4×4 courses available. 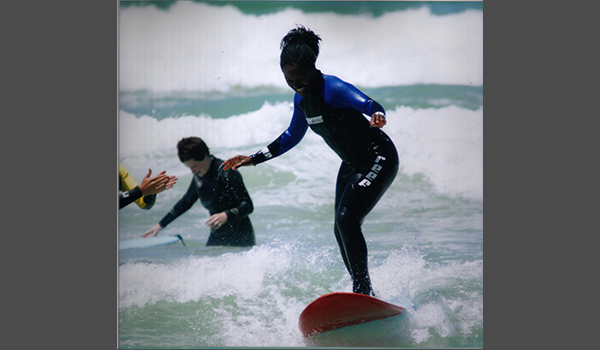 We’ll then drive you to Big Bay or Muizenberg – wherever the waves seem to be the smallest for beginners. Here we’ll show you how to stand up and also talk about waves and currents. 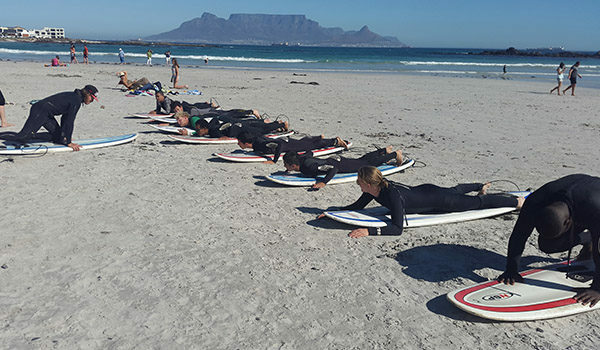 Downhill Adventures runs the oldest surfing school in Cape Town, using proven techniques to get absolute beginners standing and surfing on a wave – by the end of a day. Expert guides will fill you in on surfers’ secrets of how to paddle out, read the ocean, catch a wave, and how to control your body to stand up. We’ll start you on a Mini Mal surfboard, perfect for starting out. Lessons are structured to take the absolute beginner from surfing zero to wave-riding hero. We give clients a lifetime of accumulated surfing tips, technical info and practical surf wizardry to get the most out of the day. Once you’re up, we’ll show you how to progress and really feel the stoke! You will have an exciting 1hr session on the quadbike. We do not book for longer than an hour at a time as anything acan be quite strenuous on your arms!